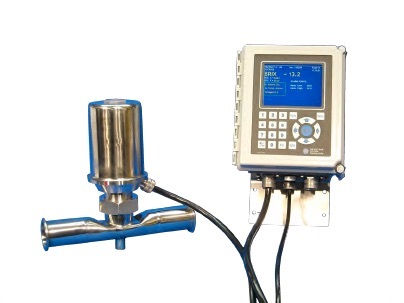 The Electron Machine MPR E-Scan is perfectly suited for sugar applications. The refractometer directly measures dissolved solids, which can be easily converted to Brix. The suggested adapter for most installations is either a 316S/S in-line type adapter or a 316S/S vacuum pan adapter. If coating may be an issue, a steam or hot water wash nozzle can be provided. Sanitary-type adapters designed and manufactured to appropriate 3-A Sanitary Standards are also available if needed.